Avoid falling victim to ransomware by backing up your data and avoiding suspicious emails. As cyber attacks have become increasingly sophisticated and cybercriminals have honed their social engineering skills, new research warns that 2018 could be the worst year yet for cyber-attacks and data loss. A new data protection survey commissioned by Acronis has revealed that 60 per cent of respondents have never heard of ransomware. This is quite surprising as this attack method cost businesses and individuals $5bn last year and is expected to cost more than $11bn in 2019. Preventing and detecting ransomware became increasingly difficult in 2017 as the number of ransomware variants increased by 46 per cent. Security experts expect ransomware attacks to continue to multiply and Cybersecurity Ventures predicts that in the next two years a business will be attacked every 14 seconds which is up from 40 seconds this year. The cost to individuals and businesses will likely only increase without the proper education necessary to understand what ransomware is and how to avoid falling victim to an attack. To make matters worse, the cybercriminals behind these attacks have perfected their social engineering skills which they use to exploit security flaws to bypass traditional anti-virus software. Attackers understand the effectiveness of a backup when it comes to stopping ransomware and this is why many new strains specifically target backup files and backup software. Of those surveyed by Acronis, 62 per cent did not even know that ransomware has the power to encrypt files and backups. Even more surprisingly, 33 per cent reported that they do not backup their own data. 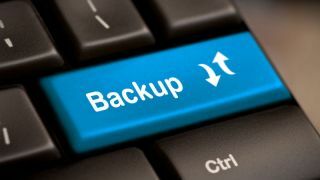 As World Backup Day approaches on the 31st, Acronis recommends that users backup their data locally and in the cloud, keep their operating system and software up to date, remain mindful of suspicious links and attachments in their email and install an anti-virus program on all of their systems.